Usually, you hit the Strip for loud, boozy, rock-y good times (see: Whisky, Roxy, groupies et al.). But today we bring you the best sartorial incentive to wind your way down Sunset. 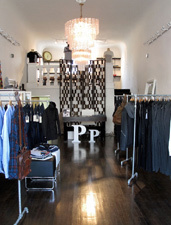 Meet P, your new Whisky-adjacent shop for edgy basics. There's no sign yet, but you'll know you've arrived by its steel-gray exterior, not to mention an interior that makes you think of those lofty Soho shops. 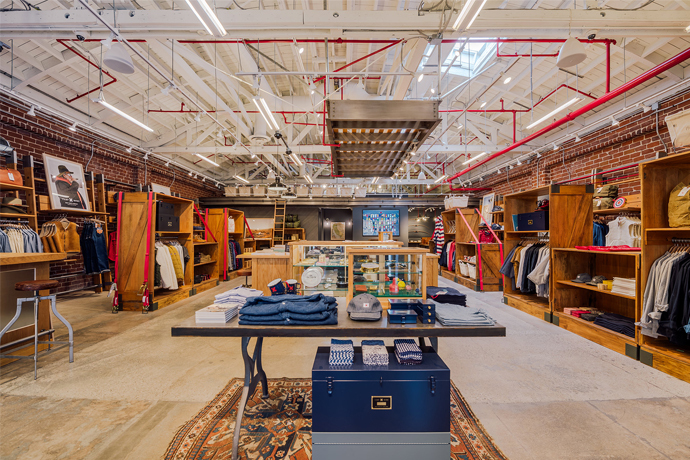 Start browsing, and you'll find Nom de Guerre trench coats (perfect for your West Coast Bored to Death moonlighting), plaids by Woolrich Woolen Mills and boots by Wings + Horns (for those harsh LA Decembers…), plus Rogues Gallery polos and canvas sneakers by Feiyue (definitely worth a spot in your Sunday brunch rotation). And this is just the beginning—the big shipments won't arrive until later this week (damn customs). Still in its soft-open phase, hours are a bit funky, so you might want to call first. But starting October 3, they'll be keeping in line with their rock-fueled surroundings with a 10pm close time. Guess you'll be waking up early.